Laptops are compact and portable computers. Their compact design and weight make them portable computers. The need of portable computers is increasing day by day because more and more people are choosing laptops over desktops due to their portability. A laptop needs more maintenance than a desktop computer. Without proper maintenance a laptop’s internal components and motherboard can fail before its life span. Well it is difficult to say about the correct life span of any laptop, but most laptop manufacturing companies like ASUS says that an ASUS built laptop will not get any problem after using it for 3 years from the date of purchase if used and maintained properly. Yes, we can agree with the above statement, that a laptop’s life span greatly depends on maintenance and handling. Laptop computers are fragile and more vulnerable to breaking when falling from a height accidently, in this case a laptop may become dead. So besides maintenance and proper handling a laptop needs care too. In this tutorial I will tell you about 5 proven tips that will increase your laptop’s lifespan. 1. Monitor Laptop Temperature : Monitoring the laptops temperature is the essential task to maintain correct temperature. 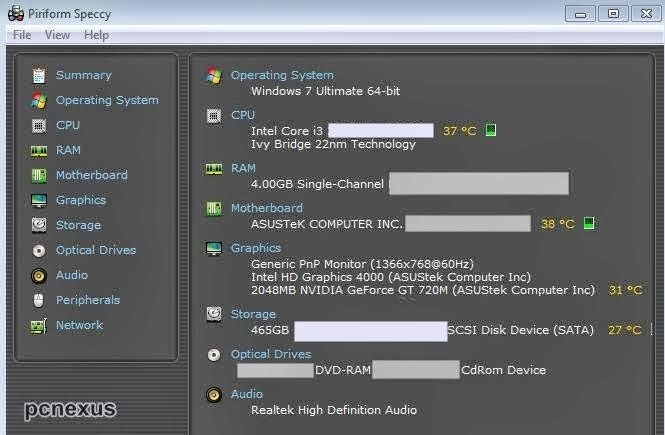 You can use a laptop temperature monitoring software like ‘Speccy’ which will monitor the temperature of CPU, GPU, motherboard and hard disk. Out of these hardware components, CPU is more vulnerable to overheating because it performs all tasks. The more the CPU is used, more it will heat. There is a temperature range for different CPUs. For example Intel Core i3 has a maximum temperature of 100 degrees Celsius. Intel Core i3 runs hot, even the low power Intel Core i3 3217U runs at 42-43 degrees Celsius at idle. Intel core i5 and i7 run hotter when used in turbo boost mode. If your laptop has Intel core i5 or Intel core i7 then you should disable the turbo boost mode in BIOS settings to prevent overheating. Visit Intel’s website to get the temperature range of your laptop’s CPU. Today most laptops are manufactured with a Ball Grid Array BGA CPU which is soldered to the motherboard. A BGA CPU can't be upgraded because it is fixed on the motherboard. If a BGA CPU burns out because of overeating then there is no chance of replacing it by yourself, but the manufacturer can fix this but require a big repair amount. Laptops having BGA CPU should be cooled properly. By monitoring the laptop’s temperature we will get right info that our laptop is not overheating while doing normal tasks. 2. Cleaning The Laptop : Cleaning the laptop regularly will ensure good performance and a better life span. Clean the laptop keys with a soft brush to remove the accumulated dust. Weekly remove the battery and clean it to remove the dust, also clean the battery cavity in laptop to remove any dust particles. By using a soft brush gently clean the corners and sides of the LCD screen, and with a cotton swab clean all the ports of your laptop. You can clean the laptop’s body with a mild cleanser that can kill the germs living on your laptop. 3. 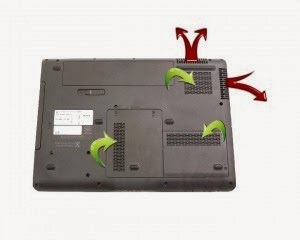 Air Flow : A laptop has two types of air vents. One is the inlet air vents and other is the outlet air vent. The inlet air vents are located on the bottom of your laptop where the laptop takes fresh air in to cool the internal components. The outlet air vent is located on the left side of the laptop which throws the heat out generated by CPU and GPU in form of hot air. Never place a laptop on a bed or sofa because doing so will block the inlet air vents and laptop will overheat, also never use the laptop by placing it in your lap, because doing so will block both the air vents. Do not use keyboard protectors like rubber covers because they will block the air flow. When air is blocked then laptop lifespan will start decreasing day by day. Because the CPU, GPU and all chips on motherboard are made of Silicon that expands more on heating and contract on cooling. This rapid expansion of Silicon due to overheating causes more wear and tear in CPU, GPU and motherboard chips. Always place the laptop on a firm surface so that air can flow below the laptop. To increase the ground clearance of the laptop, you can place four bottle caps or thick cardboard pieces cut into small squares at each corner below the laptop, so that the laptop has now more space below it. This will allow more air to flow below the laptop thereby keeping it cool. 4. Use Laptop Cooling Fan : If you run heavy tasks on your laptop like video conversions or play heavy games for long hours the be ready to say good bye to your laptop. Because playing heavy games on laptop for longer time periods damage the laptop’s internal hardware components in the long run. While playing without using a laptop cooler the CPU temperature may rise upto 65 degrees Celsius, this can’t be called overheating because most CPUs (Intel Core 2 Duo) have a maximum operating temperature of 85 degrees Celsius, but this doesn’t means that playing heavy games on laptop won’t damage it. Playing games on laptop creates little damages that can be felt over time. After all laptops are not meant for playing games, however if you play heavy games on your laptop, then use a laptop cooler fan that will cool your machine while you game. A laptop cooler will bring down the overall CPU and GPU temperature by 5 degrees which is essential to prevent overheating . If you use a laptop cooling fan then the CPU temperature will below 55 degrees Celsius and GPU temperature will be between 45-50 degress Celsius which is a great success. Check out the video below. I have played games like Call of duty Modern warfare 3, NFS most wanted 2012, Far cry 3, Battlefield 3, GTA 4, Call of duty black ops 2 on my laptop while using a laptop cooling fan during gameplay and the CPU temperature remains at 52 degrees Celsius. Never play games on a laptop without using a laptop cooling fan, don’t use laptop cooling pads because they are useless. If your laptop has AMD GPU then using a cooling fan is must because AMD GPU runs hotter than NVIDIA. 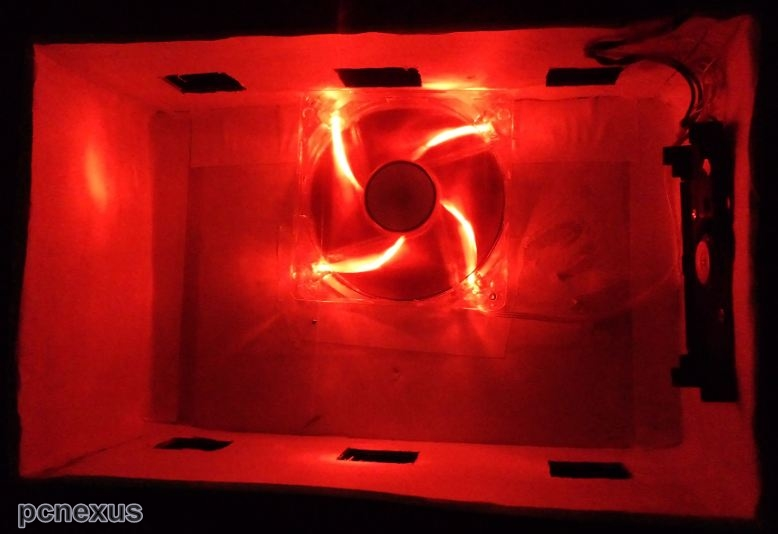 You can see this tutorial making your own laptop cooling fan. Note : A laptop cooler is also of no use if the fan is not directly situated below the air vents. 5. Prevent Electric Fluctuations While Charging Battery : Electric fluctuations can cause serious damage to the capacitors on your laptop’s motherboard. The capacitors hold charge that is essential for a laptop to work. Electric fluctuations can blow these capacitors and your laptop will not turn on when this happens. Always ensure that your home’s electricity is free from fluctuations and the electric port should be grounded or earthed. Heavy electric fluctuations while charging the laptop battery can ruin the laptop within one year and that will require serious repair. Don’t charge the laptop via unearthed electric port or that have electric fluctuations. Hot room temperature can dangerously overheat your laptop within minutes. I have an ASUS notebook, I once used it in a room whose temperature was more than 28 degree celcius. Within few minutes I noticed that my laptop was overheating even while browsing internet. The temperature rose to 60 degree celcius, this is pretty high for a ULV notebook. I immediately moved to an air conditioned room and used a laptop cooler fan. After few minutes the temperature came down to 40 degrees while browsing the internet. So gaming on laptops is a big no in summers or unless you are sitting in a AC room with laptop cooler. Never play games on laptop’s battery power. Don’t charge the battery unnecessarily. Don’t wait it to get completely exhausted. Do not overcharge it as it will start leaking charge over time. If you are going to store your laptop for a long time then completely charge the battery. Then remove the battery and store it separately. Also if the battery is stored for several months then do not recharge it. If a laptop is stored with a completely charged battery for a long time then the battery will leak and will damaged because all its electrolytes will come out and it will be blown causing damage to laptop. Never do this. I think I have covered the topic in detail and I am sure enough that after following above tips your laptops life span will increase and also you have minimized serious damages and hardware failure problems on your laptop by following above tips. If you have any question do reply in the comments section. You are WRONG!! Don't, please don't drain completely the battery before storing it without use, you will destroy your battery in less than a month! Li-Ion batteries NEED to hold 40% of its charge before storing without use, as everybody knows. Yes, I agree with you. Before storing we need to deep recharge the battery. Thanks for the info.